IRI Workbench provides a simple visual interface and ergonomic modules to design and run all IRI software. 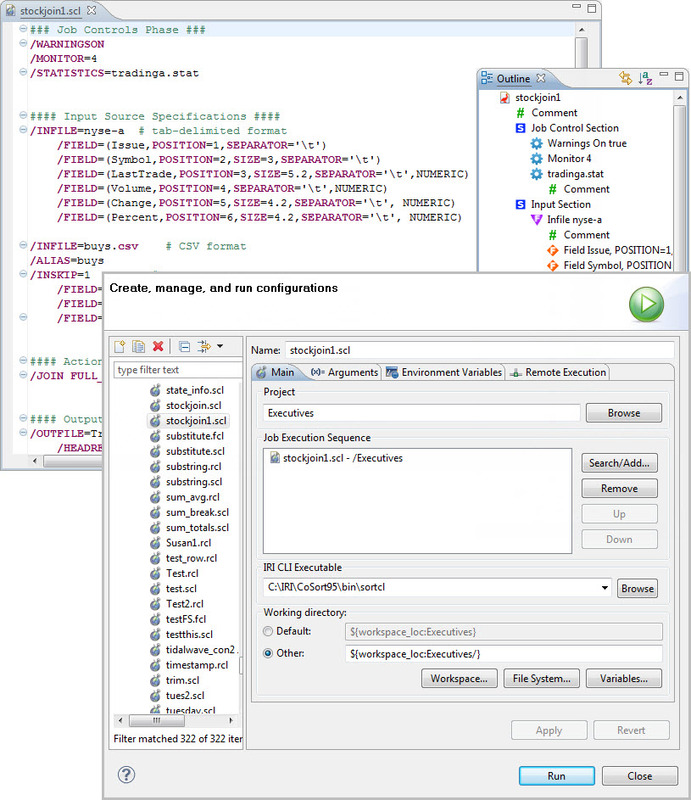 In this graphical IDE built on Eclipse, you build, modify, share, and execute the simple, portable job scripts of IRI tools, and the state-of-the-art, portable workflows of the new IRI Voracity platform. Job scripts for all IRI products (except FACT) are based on the IRI CoSort Sort Control Language (SortCL) program. SortCL is a fourth-generation language (4GL) designed to be self-documenting for English readers. But with IRI Workbench, you do not have to learn the language. If you like scripting, you can use your own word processor or the syntax-aware editor in IRI Workbench to write, modify, and validate your parameters. 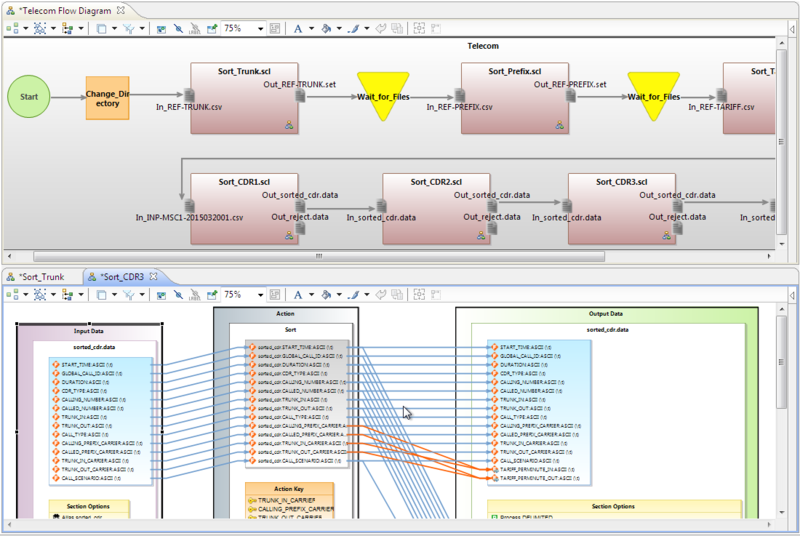 Changes in the scripts are reflected dynamically in the job outline, the GUI dialogs, broader job flow (project) metadata, and mapping diagrams. Thus there are a number of places you can make changes that will propagate automatically or with a couple clicks. You can run jobs you create in IRI Workbench directly through the GUI on your local or remote system(s), or from any command line, batch script, 3GL application, or workflow automation (job scheduling) environment. Voracity users with data in HDFS can also run many of the same jobs seamlessly in MapReduce 2, Spark, Spark Stream, Storm, or Tez ... so you do not need to learn Hadoop languages, either!